Game of Thrones: Behind the Scenes published one particulary interesting episode for Dubrovnik – Mother’s Mercy, where one can look back at Sansa and Theon’s escape, but more important – see the popular ‘Walk of Shame’, filmed on Dubrovnik’s most beautiful and most popular stairs – Jezuiti. 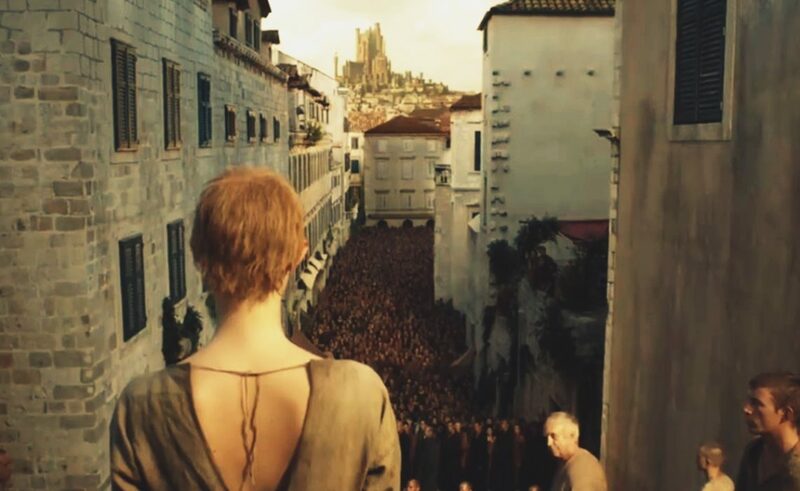 “Mother’s Mercy” is the tenth and final episode of the fifth season of Game of Thrones. It is the fiftieth episode of the series overall. It premiered on June 14, 2015. It was written by David Benioff & D.B. Weiss and directed by David Nutter. Winter Saturday Mornings in the City, Why Not?